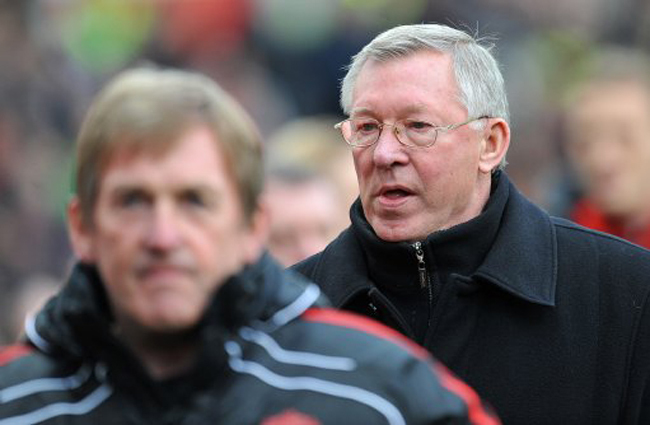 Ahead of Manchester United’s clash with Liverpool at Anfield on Saturday, Sir Alex Ferguson has claimed that the fixture is the biggest (club) game in the world, even eclipsing Spain’s “El Clasico” and the M4 derby between Reading and Swindon. These words will no doubt have Sky Sports, the kings of superlatives (who are screening the game), frothing at the mouth with excitement, while the presence of Kop idol Kenny Dalglish will add even more spice to the rivalry. However, is this fixture really the biggest club game in the world? What are your thoughts? The biggest game of the season is taking place on Saturday… Bolton vs Wigan! It may be the biggest game in England but I don’t think it is the biggest game in the world. Real-Barca is probably the biggest in the world with Messi and Ronaldo despite the distance between Madrid and Barcelona. Maybe when Liverpool used to be good… No game that involves Charlie Adam is ‘the biggest ever’. Swansea City vs Cardiff City is the biggest game in the football calendar!! As Mark said, maybe when Liverpool used to be good…and they haven’t won an EPL title in how long? Also, not one of the 23 players that were shortlisted for the FIFA Ballon D’or/Golden Ball award came from either Liverpool or United (Rooney had an off year and England sucked). The distance argument makes sense. @Miguel – NYC: typical yank. you think you need the best players in the world to make it the best match in the world. @Titus: Your argument has many errors. Since you have been interested in football Liverpool has also won 3 FA Cups and 3 League Cups (2003 final v Man United) and finished above Man United in 2001/03 season. Man United may have been England’s dominant team in the 90s and 00s but Liverpool were the dominant team in the 70s and 80s (Man United won no league titles in this period and where even relegated). Don’t forget that Liverpool and Man United are England’s most successful teams and this contributes to the rivary. it is the most watched game.. world cup – then manutd vs liverpool. United vs Pool and the old firm have nothing to do with the league table, the quality of players, it’s rivalry.. with HUGE fan bases who despise each other, always going to be a massive game world wide. I think its the biggest game in the world in context of how many people will be watching it. Asia has a huge fan base of liverpool and man united fans, and the great rivalry between the teams will attract a lot of viewers. What he said about the distance is important, as well as the fact that the El Classico is a joke nowadays. What about Lazio – Roma? definitely. was it just a year or 2 ago when the liverpool – united match attracted 300 million viewers worldwide? that’ll give the world cup a run for its money. am based in singapore and can tell u pool and united are MASSIVE here. la liga will nvr have the following that the prem does, and that is what makes it the biggest clash, the incredible history, the players, the quality of EVERY game, the fact that despite liverpool struggling over the last 20 yrs or so, they’re still able to magically step it up a level when they play united. Man U vs Liverpool isn’t even the biggest game in the north west. Ferguson said that Leeds Man U was a meaner derby than Liverpool Man U, so he’s already forgotten what he said 2 weeks ago. Hi guys, Does anyone have the link to the Daily mail article with the graphic about Man U vs. Liverpool being the most watched soccer event in the world. LFC vs United is the bigest club game, it is enthralling. Elclassic is now boring with all the violent conduct & acting by players ,time wasting, without exhilarating stuff of football. German Derby – Schalke 04 vs B. Dortmund !